Τοποθετημένο στην υπέροχη περιοχή της Σέντραλ Κιότο, το Colours Guesthouse χαίρει μιας επιβλητικής θέσης στη πολιτισμικά αξιοθέατα, ψώνια, περιήγηση σε αξιοθέατα κεντρικό σημείο της Κιότο. Το συναρπαστικό κέντρο της πόλης είναι μόνο 1 Km μακριά. Από τη βολική της τοποθεσία, η ιδιοκτησία προσφέρει εύκολη πρόσβαση σε κορυφαίους προορισμούς της πόλης. Το Colours Guesthouse προσφέρει άψογη εξυπηρέτηση και όλες τις βασικές ανέσεις στους ενθουσιώδεις ταξιδιώτες. Το ξενοδοχείο σας προσφέρει μια μεγάλη επιλογή υπηρεσιών, συμπεριλαμβανομένων των δωρεάν WiFi σε όλα τα δωμάτια, ημερήσιος καθαρισμός, ενοικίαση φορητού wi-fi, φύλαξη αποσκευών, ασύρματη σύνδεση Wi-Fi σε δημόσιους χώρους. Το ξενοδοχείο διαθέτει 3 όμορφα διακοσμημένα δωμάτια, πολλά από τα οποία περιλαμβάνουν επίπεδη τηλεόραση, κρεμάστρα ρούχων, δωρεάν τσάι, λευκά είδη, καθρέφτης. Εξάλλου, το ξενοδοχείο διοργανώνει πολλά ψυχαγωγικά δρώμενα έτσι ώστε να έχετε πολλά πράγματα να κάνετε κατά τη διαμονή σας. Όταν ψάχνετε για ένα άνετο και βολικό μέρος για να μείνετε στη Κιότο,το Colours Guesthouse γίνεται το σπίτι σας μακριά από το σπίτι σας. Το check-in ή check-out εκτός των αναφερθεισών ωρών δεν επιτρέπεται ή ενδέχεται να υπόκειται σε πρόσθετη χρέωση. Guests arriving between 08:00 PM and 11:00 PM will be charged JPY 250 per 15 minutes or JPY 1, 000 per hour. Δεν είναι δυνατό να γίνει check-in μετά τις 11:00 PM. Персонал очень душевный, восположение отличное. I came there early morning and stay outside for a while until they open the door. Thats ok for us because we knew early check not available. However, we is disappointed of attitude of their night staff. When we came in house, she saw us and did not say anything until we asked her although we were strangers in house. Additional, at late night, she called to someone else with loud voice, close doors ungently, so we could not sleep. Overall, room is beautiful as picture, other staff are very polite and owner is also nice. I was lucky enough to be sleeping next to the heater so for me everything (the room, bedding, lighting) was alright. It can be cold to visit the toilet or showers since they are outside of the rooms but otherwise it was a comfortable place to spend the night. I didn't have a chance to try out the nearby bathhouse but it's ¥410 for a visit and that's actually pretty cheap. i felt comfortable in this guest house and i met so nice staffs. Every staffs are kind and accommodate for customers. The atmosphere is traditional Japanese style specially its so beautiful at night. Moreover there are many bus nearby this hostel. If I have a chance to travel to Kyoto, I will go there again. It's clean ,quite and tidy. 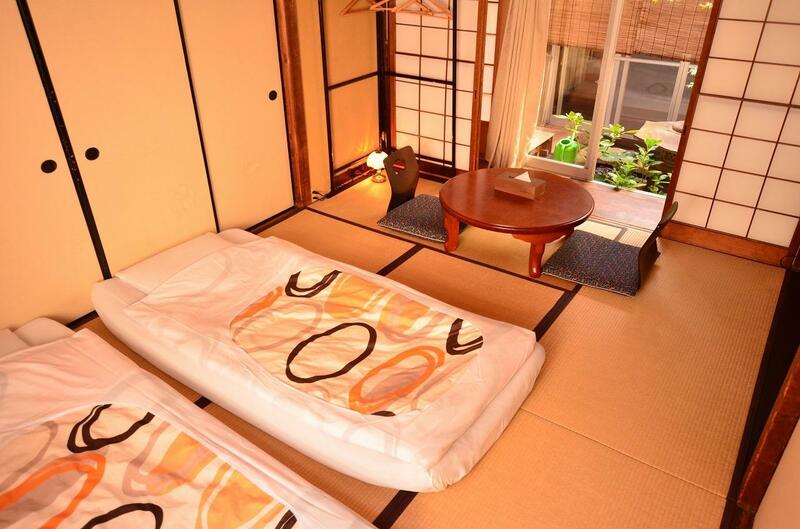 However this is not what you want if you would like to stay at a traditional Japanese house with friendly hosts. It's more like a youth hostel. It's located at a really small alley which is far from the attractions(20mins walk at least). Thank you for your staying here. 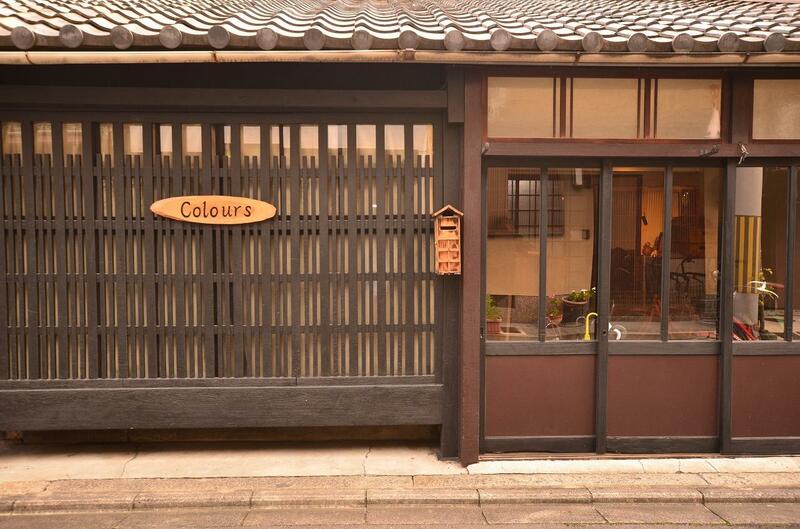 This house is renovated old Kyoto house but common space is renovated to stay comfortably so it is not too old style but we keep the old structure and keep our culture. We also put Kotatsu which is traditional Japanese style table with heater. If our staff is not friendly, we apologize. We are trying to make guests to feel like home before and from now on as well. In Kyoto, we have many attraction places and it is convenient if you use bus. There are some bus stop near the guesthouse so it is also convenient. Thank you again and hope you come back here again. There were two bathrooms but all the door handles were broken... It was terrible to take a shower behind the door which could be opened whenever somebody tried. Thank you for staying here. The bathroom door is not broken one is new and old one is also can be locked. We would like you to ask us if you didn't know how to use but next time we will try to explain how to close the door as well. Sorry if you had no chance to ask us, we will try to take care guests more. Thank you again for staying with us. Well, this was an ok stay, but do not book it if you're looking for a japanese experience. The way the place is handled is not client satisfaction oriented. Actually, they do not know how to take care of their guests. For example, staff stay on site but get up at 10 AM when clients are looking for them for the check out. Lights are not on when you come back at night and you don't know where is the switch. Water temperature is set at 37 and is lukewarm, but when you ask them to put the temperature up a notch they answer you that they can't. Nobody thought of putting on the heating in the dorm at night so clients can come home to a warm room (it was so damp and cold one night and it took for ever to heat the cold room when I came back at 10 Pm). Also the female dorm was not displayed as shown in the pictures, they configured the room to make a place for 3 beds together. That left me in a corner without shelves or anything to put my stuff. I got by fine anyway, but I do not recommend this place. I've been to 3 other hostels in Japan that where much better. It is sad to say, but the staff and owner are not japanese and it shows in the way they take care of their guest and the house. Thank you for staying here. But we are sorry if you fell uncomfortable to staying here. Your room is separated with partition board. About reception usually until around 9pm but sorry we couldn't recognize your feeling while you stay. We are trying to take care guests more. Thank you for your comment. But our guesthouse owner is Japanese and now manager is from Kyoto. So we know about Kyoto and tell guest the tips for travel Kyoto. Hope next time to visit Kyoto and enjoy here. Its affordable, clean n nice GH but... there is no heater so u gonna be cold at night.. Thank you for your staying. We have heater and blanket and hot pack for free. So it helps you even it is cold Kyoto winter in traditional house. Hope you had fun in Kyoto and like. We enjoy our night in Colours guesthouse!the staff and owner were really friendly and help us to find another hotel for our stay in kyoto!sleeping on tatami and futon was so deep! A Taiwan girl was running this place.The room was super cold when I got in and as cold after whole dayAC on ,shower rooms don't have any heater ,so imagine that.I had to go to the public onsen to clean myself.Didnt really enjoy it. Thank you for staying here. And we are sorry you couldn't enjoy in here. One of our staff is Taiwanese, but owner is Japanese and now manager is from Kyoto. We have hot pack and blanket and of course heater and it helps prevent cold weather. So hope next time you have chance to come here, we won't make you disappoint. great house, located near bus station and convenient store. bad thing was just the heater only located in one spot of the share room, a bit too cold at night. 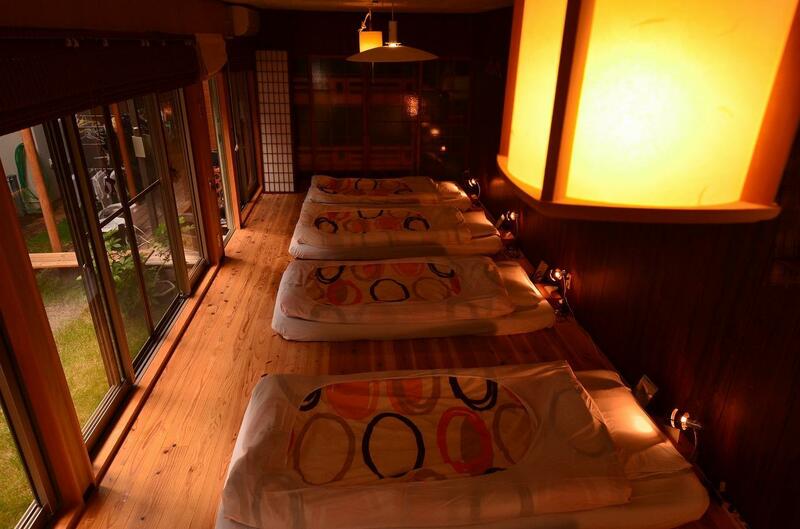 Very, Very cozy and lovely Japanese style hostel. Very neat and clean. The stuffs clean the toilet, common tab and shower place everyday. Very thoughtful and nice equipments. Even have free mobile power bank to lent in the living room! (but have to find them by yourself. I ask a staff on the first day and she says there's no one to borrow). Also have nice tea cups, water to drink, hot water and everything I needed in house. They also have multiple sinks! I can't ask better. The location is a little bit far from the kyoto station, but is not inconvenient. Several bus stations are nearby. Staffs are kind and helpful in general. Super nice environment and atmosphere. The room and living room are cute and cozy with great decorations. I will definitely want to stay there again! May be a case of poor wording on the booking site but we were sold a "private room" in a dorm for 2 people. However we only had 1 wall with 2 flimsy dividers and 1 side completely open - people walked by our beds with no barrier in front. The staff were really nice and helpful though. We were greeted by the guesthouse staff Dora. She was friendly and chatty. 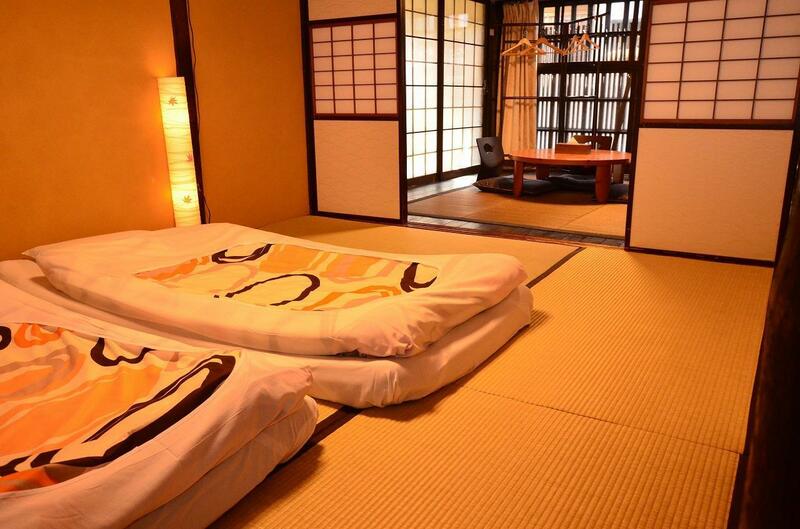 The bed(tatami) is confortable. we have had a good time at this place they have every thing we need, it is cozy and clean . the staff are helpful. we have had a good time stay at this place. thank you for your hospitality . Besides that all the facilities were new and clean, the staff was also nice and hospitable! I'll choose here again when travelling to Kyoto. Σταθμός Υπόγειου Σιδηρόδρομου Shijo στα 0.55 χλμ.